K & K Heating & Cooling, LLC is dedicated to providing professional and superior service for all of your home and commercial comfort needs. If there’s an air of superiority to these units, it’s because they’re the quietest, most efficient models. Built for total home comfort, these air conditioners offer high ratings. Combine it with control management system for highest degree of comfort. Contact us now to have it in your home. The way we see it, cool breezes are best left outside in winter. That’s why boilers are designed to spread nothing more than consistent warmth—not to mention peace and quiet—through your radiant system. If you have radiant heat, we promise to radiate both comfort and efficiency—not just now, but for years to come. 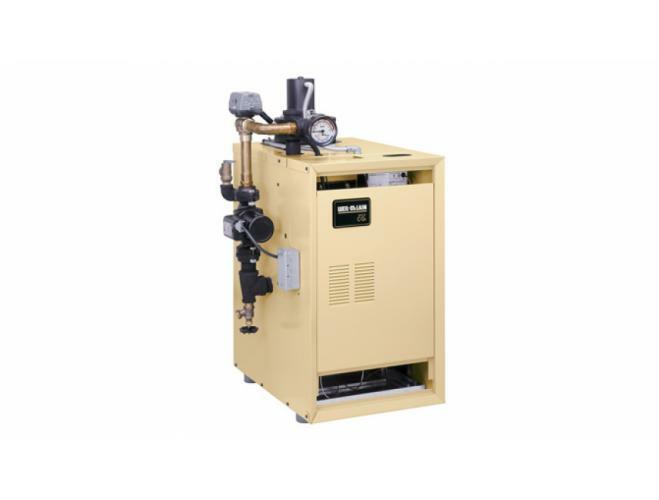 These boilers are specifically designed to meet energy specifications, so contact us for sales, installation and services. The pinnacle of engineering, our heat pump offers precise heating and cooling, unwavering comfort, uncompromising energy efficiency and ultra-quiet cooling performance. 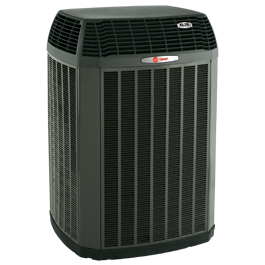 Heating, cooling, and dehumidifying, heat pumps have it all. Contact us now for installation or service. If your system isn’t designed correctly from the beginning, it will not perform to your expectations. Our goal is to optimize and sustain refrigeration systems, so we focus our designs to deliver these results. We take a “systems” view and focus on optimizing all of the components of your refrigeration. We evaluate each project individually and provide complete coordination through the project to insure that your best interests are carried through. 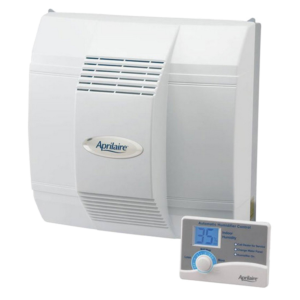 Humidifiers are designed to keep the ideal amount of humidity in the air. You don’t need to sweat annual maintenance for your humidifier too much. Just be sure to choose an efficient plan before the heating season. If you have a humidifier, you’ll need to have it serviced before the season or contact us to have a new Humidifier installed at your home. Changing your home’s heating, ventilating, and air conditioning (HVAC) filter can have a big effect on your utility bills and your comfort. 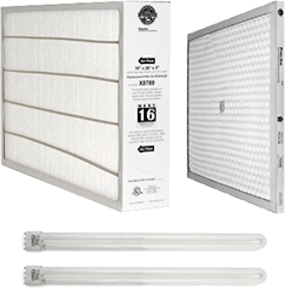 Do you hate changing your filter? Let us change your filter for you. Call Today to learn more and schedule your HVAC filter change. The S9V2 is a two-stage, variable speed furnace that is 96% AFUE across all models. 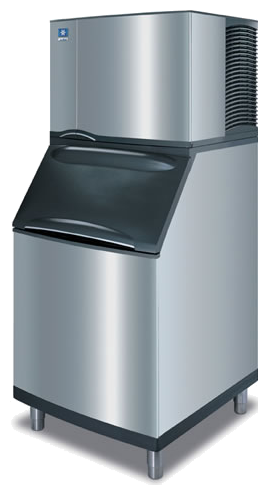 S9V2 is 34” tall, a full 6” shorter than legacy furnaces, but is offered in the same depth and widths. S9V2 provides three-way poise (upflow, horizontal left and horizontal right) with a separate model family that is dedicated downflow. All tonnages offer two different venting options in any poise position, with easy reconfiguring and no kits required for poise or venting. All models are certified to air leakage of less than 1% of the design airflow rate according to ASHRAE 193 and are Energy Star® certified. For over 35 years Fujitsu has been cooling and heating homes with ductless air conditioners and heat pumps. For 2015, Fujitsu has introduced the world’s most energy efficient air conditioner at 33 SEER!. 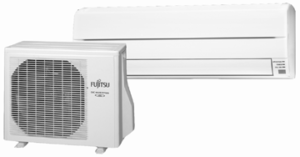 ductless.ca carries Fujitsu’s full line of ductless mini-splits with 25 ENERGY STAR® qualified products for 2015. Fujitsu’s ductless Systems are some of today’s most advanced forms of heating and air conditioning. One outdoor air conditioner unit can operate up to 8 indoor units simultaneously. Fujitsu’s ductless Systems are super quiet as well as highly energy efficient.